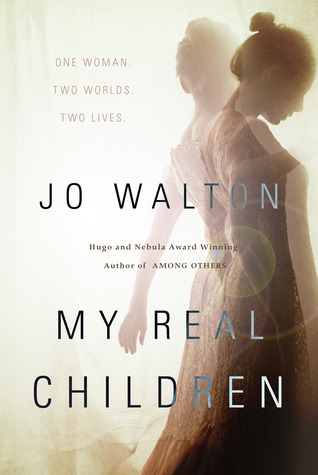 My Real Children by Jo Walton is the shorter book. Patricia was born in 1926 and it is now 2015. She now has dementia and lives in a nursing home. She's remembering back over her life but remembers two separate lives. In one, she got married young, left her work behind, had a miserable marriage and four children. In the other, she didn't get married, entered a long-term relationship with a woman, was incredibly happy, and had three children. It isn't just her personal history that is different. In the married timeline, things for the world are better: the Cold War ended earlier, people were more accepting (gay marriage became legal) and there are moon colonies. In the unmarried timeline, things were definitely worse: there was a nuclear exchange between the US and Russia, the moon has missiles on it. 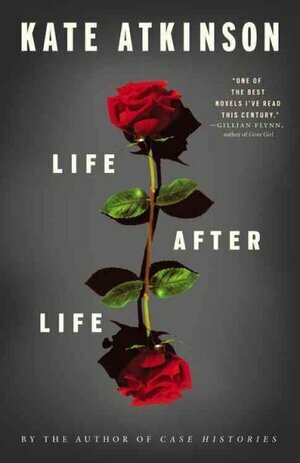 Life after Life by Kate Atkinson is more intricate. It takes place a little earlier; Ursula was born in 1910. She keeps dying though and restarting her life, sometimes living longer, sometimes dying earlier. Like in a video game, if you had to start at the very beginning whenever you died. She has a few childhood problems (the Spanish flu throws her for a loop) but it is really World War 2 that much of the book takes place. She lives it on both sides, German and British. I guess what struck me were the severe limits placed on women's lives and how hard things were for them. I mean, I know, logically, that things were very different back then, but just seeing how awfully Patricia and Ursula are treated in parts of their various timelines was kinda shocking. It makes me just want to go around and hug women over 60. I really enjoyed both books. I really recommend both! Each gets a 7!